South Korea's finance minister will attend international meetings of the world's top economic policymakers later this week to discuss ways to improve international policy coordination, his office in Sejong said Wednesday. Finance Minister Yoo Il-ho, who doubles as the deputy prime minister for economic affairs, will attend the Group of 20 Finance Ministers and Central Bank Governors meeting to be held in Washington on Thursday and Friday, according to the Ministry of Strategy and Finance. The G-20 meeting is one of the key ministerial-level sessions in the runup to the G-20 summit to be held in the German city of Hamburg in July. 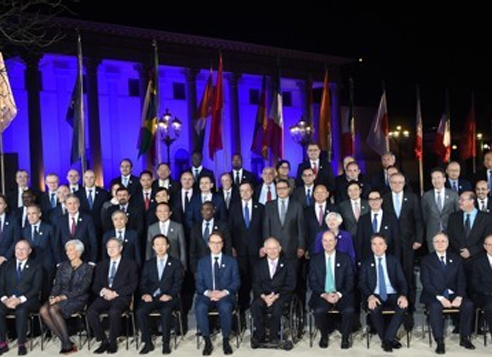 The ministers and governors of the world's top 20 economies will discuss ways to increase policy coordination among the member countries and international organizations. Yoo will call for setting up a global safety net to pre-emptively deal with wider volatility in the world financial market, the finance ministry said.